Dreamers Update! We have a NEW COFFEE BLEND!! And MEET OUR NEW MANAGER! Today, I was asked to give an update on Dreamers. I love the people who are supporting Dreamers, and I try to make sure that I follow through on their requests. So here I go! 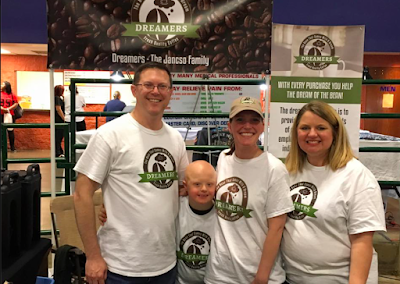 Dreamers is now available for purchase in 9 different states across the nation! We have 26 individuals who have their own online stores. We are very proud of each and every single Dreamer! 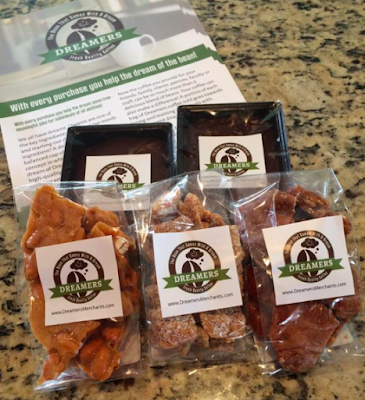 You can order from their online store, or you can order directly from your Dreamer. Special orders are our specialty! 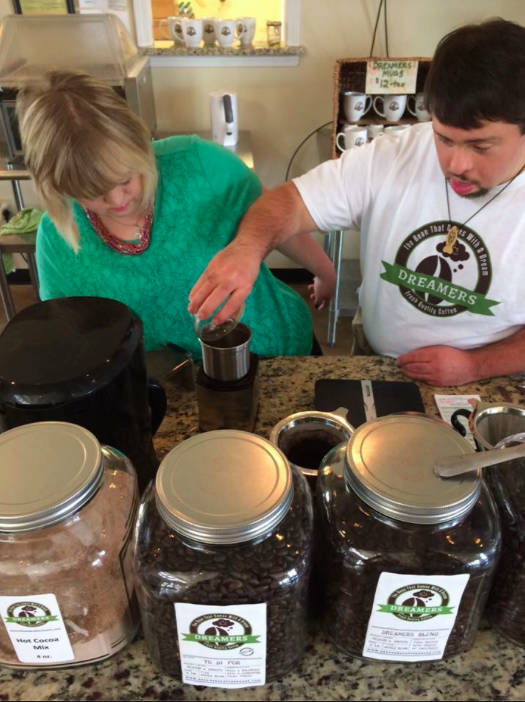 We are excited to tell you that we have added a fourth blend of coffee! It is called Chesapeake Dreams! Chesapeake Dreams is roasted in Maryland by Erin Baldwin! 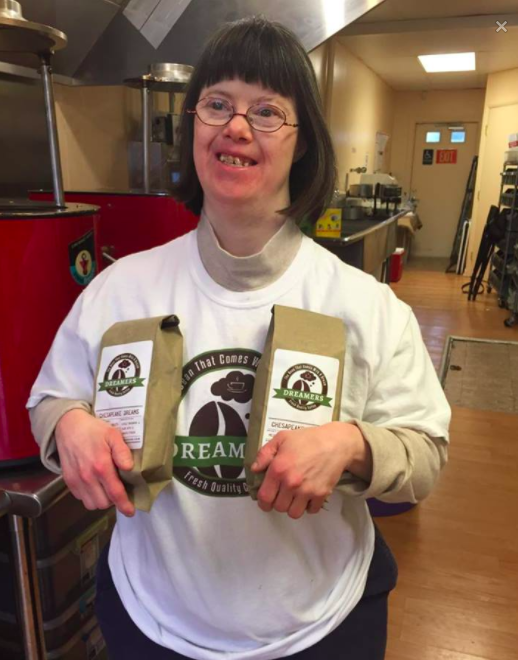 We are thrilled to have this fabulous coffee blend as part of our line up! 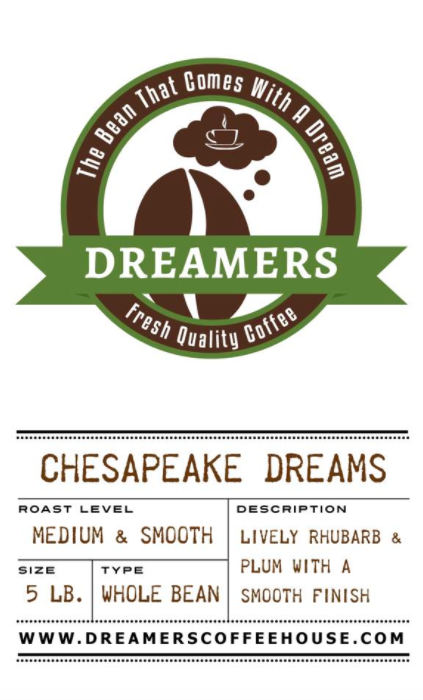 Like all of our coffees, Chesapeake Dreams is specialty grade! And look here! We now have the most scrumptious, yummy candy!! Contact your Dreamer if you are interested in ordering this! We will be adding it to our online stores this coming week! Chocolate Fudge with pecans, and with out pecans! As we have shared before, Dreamers Coffee is also out at Vantage Point Golf Range, 9580 Macon Road, Cordova, TN 38016. 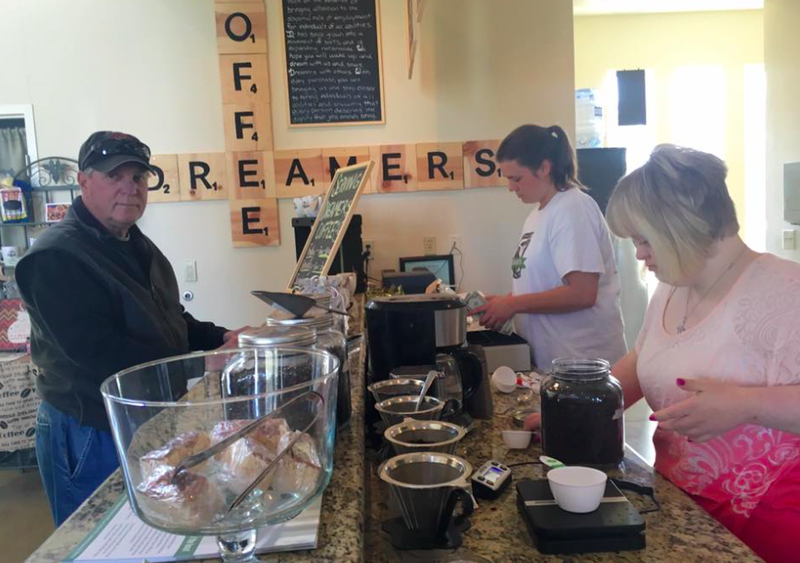 We are serving iced coffee and iced tea along with hot coffee and tea on Fridays from 12-2:30, Saturdays from 12-4, and Sundays from 12-4! We will also be happy to serve coffee/tea for your event. and we will arrange for a Dreamer to be there! You will also find us at many events nationwide! The Dreamers are taking their business out on the road to many craft fairs and shows! Follow our Facebook to keep up with where we are at! 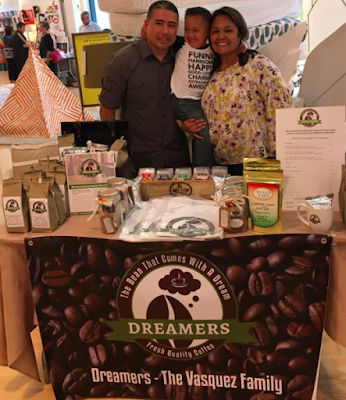 We were thrilled that our Dreamers Lizette, Carlos and their sweet boy Lucas represented Dreamers at the Changing the Face of Beauty event in Chicago! We are so very, very proud to announce that Amanda Cash has agreed to be the manager of all of the Dreamers who are working at Vantage Point Golf Center! 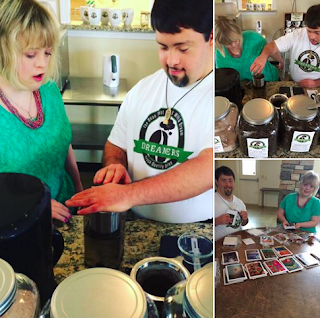 Amanda has worked very hard to learn the art of coffee, and has done an incredible job of training others! 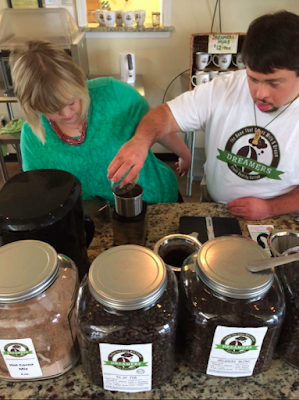 Click on this photo to see this barista in action! Finally, we will continue to add more Dreamers Store Owners to our Dream Team! 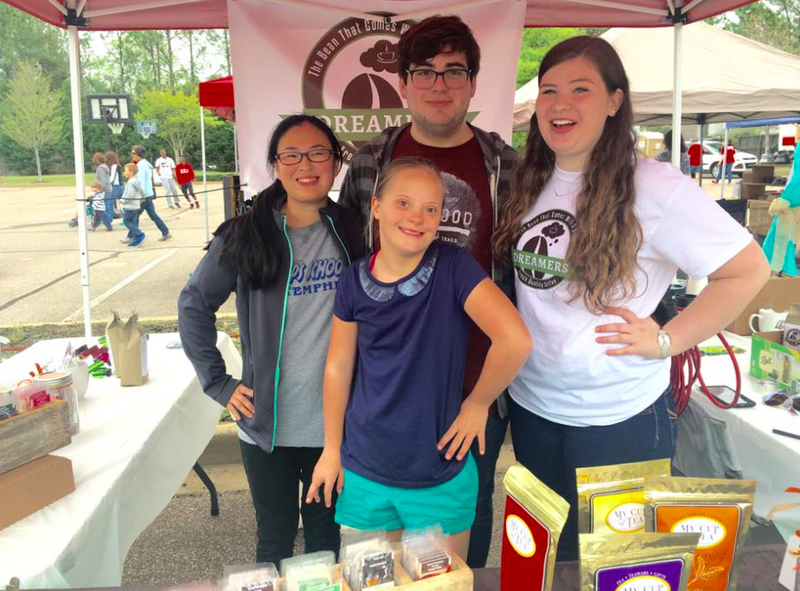 If you are interested in being a Dreamer, contact me at diane@dianegrover.me! We would love for you to wake up and dream with us! 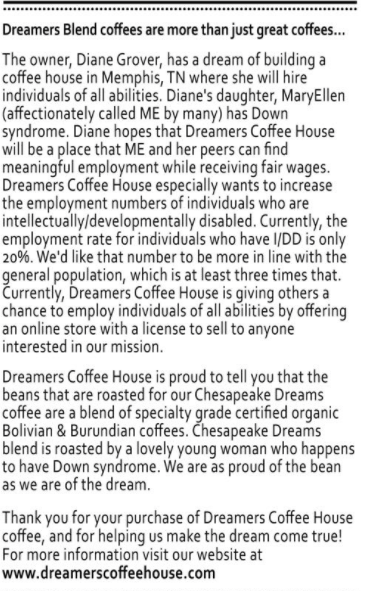 This entry was posted on Thursday, April 21, 2016 and is filed under Dreamers,Dreamers Coffee House,Jobs matter,the bean with the dream,the beans the dreams. You can follow any responses to this entry through the RSS 2.0. You can leave a response.